This tutorial helps you to modify schema type on a specific post. so, let’s get to it. If you want to modify the schema markup in any specific Post/Page then please follow the below steps. 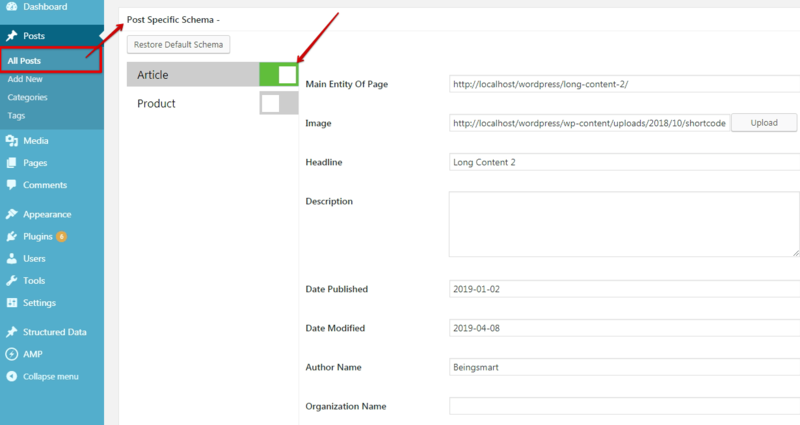 Go to that specific post or page editor in the below you’ll find the meta box of Post Specific schema. Click on Modify schema and enable which schema markup you want to modify it and fill all the required fields as per taste and save it. After that, you need to check the schema whether it shows the changes or not in the Structure data testing tool.